It may look like an iPad Mini, but the new 7.9-inch iPad Mini with Retina Display doesn't act like one. And it certainly doesn't produce a Mini experience. The original iPad Mini had the same features as the iPad 4, including 4G LTE connectivity, a 5 MP iSight back-facing camera and access to Siri. But it was powered by the same processor as the iPad 2, which was about like putting a Honda Civic's engine in a Corvette. It looked pretty, and it could get the job done, but it wasn't exactly zooming past anyone on the highway. That changed with 2013's edition of the iPad Mini. If the recently released iPad Air was Apple's newest Corvette, the iPad Mini with Retina Display is Apple's Porsche. The same grade of 64-bit A7 System-on-a-Chip that powers the iPad Air and iPhone 5S. Stunning Retina Display graphics with 326 pixels-per-inch (PPI). 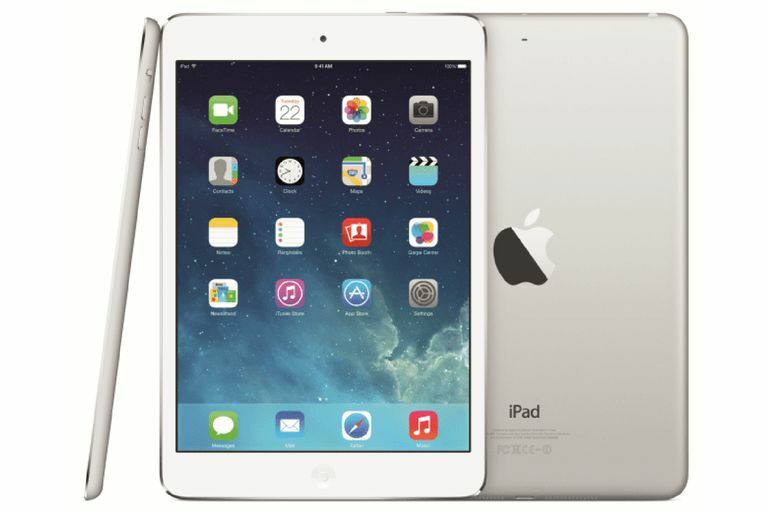 The iPad Mini 2 faces tough competition in a changing marketplace. When the original Mini was released, 7-inch tablets were watered down versions of the 10-inch competition. Both Amazon's Kindle Fire HDX and Google's Nexus 7 closed the gap on 10-inch tablets, providing Retina Display graphics and fast quad-core processors and making the major difference size rather than performance. Despite the gains made by Amazon and Google, the iPad Mini 2 still comes out performing like the Porsche of the industry. Don't let those quad-core processors fool you. The iPad Mini 2's 64-bit dual-core A7 significantly outperforms the Nexus 7 using the GeekBench 3 benchmark, and while the GeekBench 3 doesn't run on the Kindle Fire HDX, the A7 outperforms other Android-based devices using the same 2.2 GHz Qualcomm Snapdragon 800 processor. In other words, the new Mini is fast. Lightning fast. So much faster than the original Mini, which used the iPad 2's A5 processor, that it is easy to tell the difference whether you are browsing the web, with pages that pop up almost instantly, or playing GT Racing 2, which both loads up and jumps into races almost three times as fast as last year's iPad Mini. The 64-bit A7 chip in the iPad Mini 2 is clocked slightly slower than the newly released iPad Air, running at the same 1.28 GHz of the iPhone 5S compared to 1.4 GHz of the iPad Air, but the 2048x1536 Retina Display packs in more pixels-per-inch (PPI) on the 7.9 inch display, with 326 PPI on the new Mini compared to 264 PPI on the Air. In fact, the only major difference between the iPad Mini 2 and the iPad Air is the size of the tablet and the bite they take out of your wallet. The performance difference is so slight it takes a computer program to tell the difference, and to note the difference in the displays, you'd need to hold the tablets uncomfortably close to your eyes. The iPad Air's larger screen size makes it easier to use it for productivity, but the iPad Mini 2 offers more mobility. Because of the addition of the Retina Display, the iPad Mini 2 is .3 millimeters thicker and weighs .04 lbs more than the original. If you think that difference is too slight to notice, you are absolutely right. Holding them face-forward and side by side, you can only tell the difference by turning them on and actually using them. The new iPad Mini debuts at $399 for the 16 GB Wi-Fi model, compared to the original's $329 entry-level price, but considering what you get for that extra $70, it is a bargain. This isn't a watered down experience. This is an iPad, the equal to its bigger brother, and in some aspects, even better. It might seem hard to give the iPad Mini 2 five full stars after we gave the iPad Air only 4.5, but it was actually rather easy. If ever there were a five-star tablet, it is the iPad Mini 2. It does suffer from the same fatal flaw as the iPad Air — a somewhat buggy (for Apple) iOS 7 operating system — but that flaw is getting better over time as Apple releases updates, and ultimately, iOS 7 offers more features than any other version of the OS. And while we try to review each tablet on its own merits rather than compare it to its predecessor, it is difficult to ignore the gigantic leap the iPad Mini 2 made over the original iPad Mini. The new Mini doubles the resolution, which means four times the pixels, and is four times faster than the original with graphics that are about eight times as fast. And it does this while keeping the same battery life and roughly the same size and weight. Technical specs aside, perhaps the biggest difference between the newest Mini and the competition is that while the competition can serve its purpose, the new Mini begs to be used. You'll invent reasons to use it. When you finish checking in on your favorite websites, you'll want to stay online and browse more. You'll get upset that your friends don't update Facebook more, giving you more excuses to pick it up. Easy to hold in one hand, light enough that you barely know it is there, and one of the fastest tablets on the planet, you'll feel equally comfortable hanging out with it on your couch or taxing that A7 processor at your desk.